“Shin” (leg) pain, “shin splints,” and medial tibial stress syndrome, are general terms used to describe pain and lower leg discomfort. It could affect recreational and professional athletes indistinctly, mainly distance runners, athletes of endurance sports, dancers, and the military, confirming that higher physical demands (overload) are closely related to this injury. Although shin pain has been described as an exercise-related problem, i.e., overuse injury, it has a broad differential diagnosis, and soft tissue inflammation (tendons, muscle, and fascia), exertional compartment syndrome, vascular deficiency, medial tibial stress syndrome, and stress fracture should be carefully investigated. 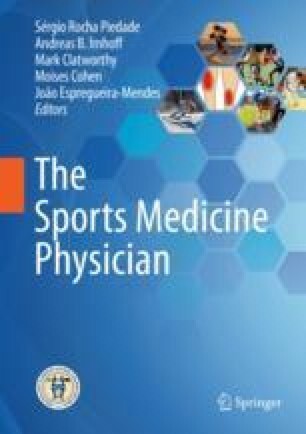 This chapter aims to discuss athletes’ complaints, the influence of the intensity of sports training overload), and physical and radiological assessment of different clinical problems related to shin pain.